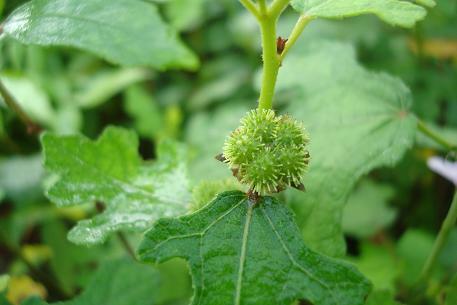 The name of this plant may be referred to as Urena procumbens, which I have indicated as a synonym. 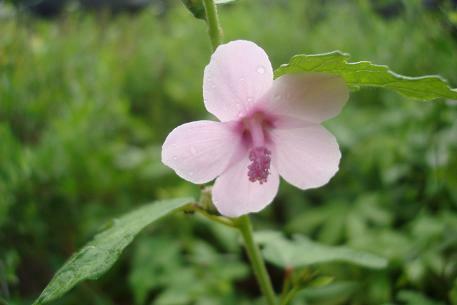 In the Pacific Island Ecosystems at Risk (PIER) website, Urena sinuata is a synonym of Urena lobata. 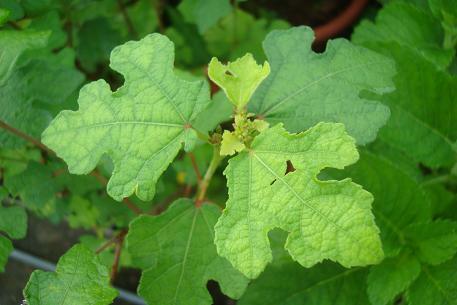 Both Urena sinuata and Urena lobata are accepted names with separate entries in the Germplasm Resources Information Network (GRIN) website. I do have a Urena lobata in my website where the appearance of the leaves is different from the one displayed in this page. Since there is no clear conclusion of the accepted name, I have kept to Urena sinuata for now, similar to this reference website.